This striking silver bracelet with black sapphires is breathtaking. 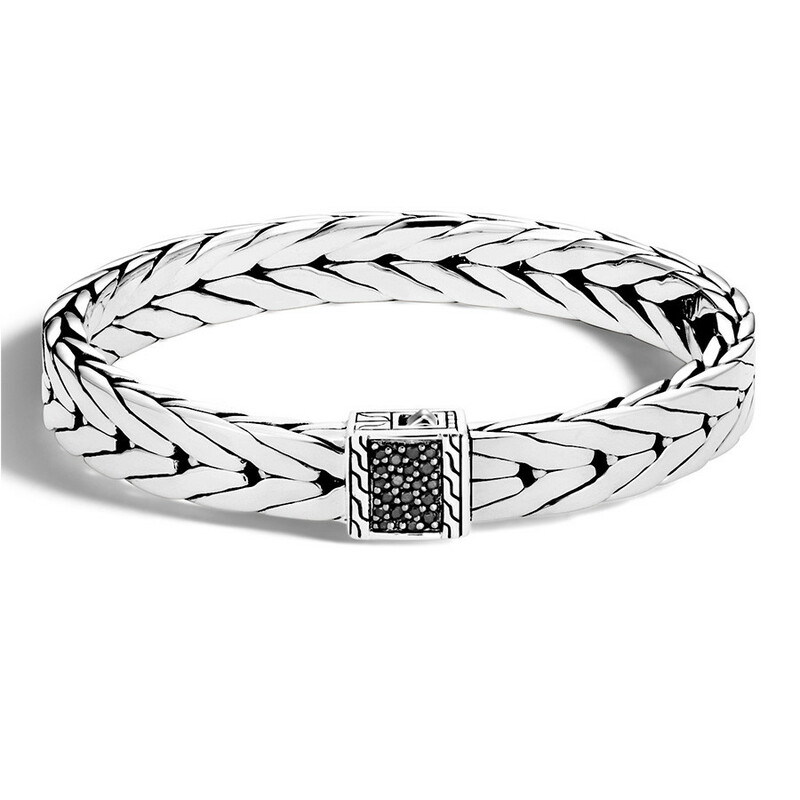 John Hardy fans will recognize the links pattern from the Modern Chain collection, perfectly executed here in sterling silver. And to add just the right amount of bling, the clasp is decorated with black sapphires, meticulously hand placed for a textured and radiant effect. 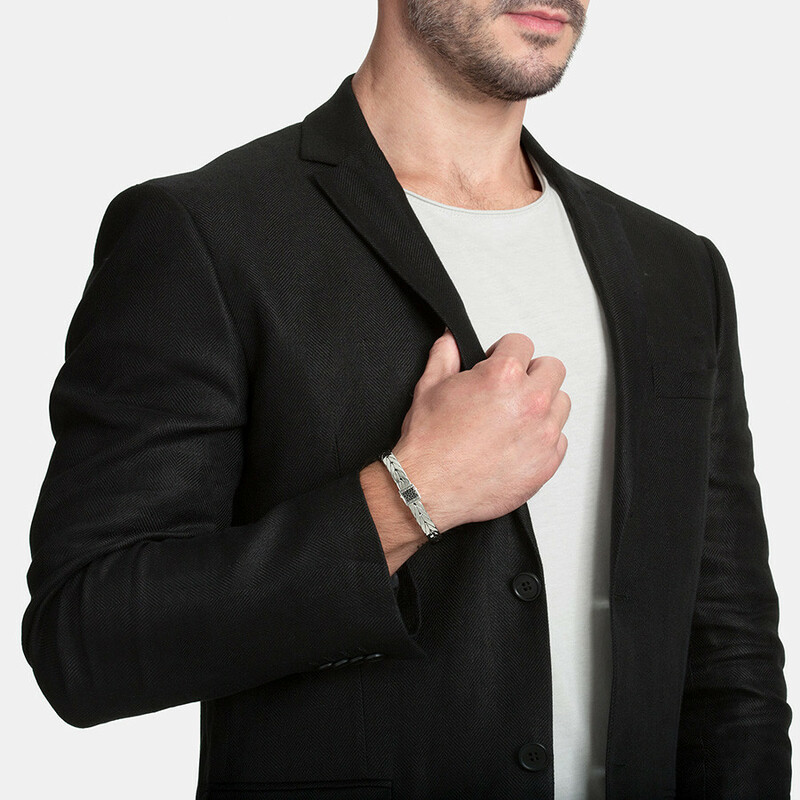 This modern slim bracelet can be worn to dress up your favorite casual attire or as an accent to a night out on the town.